Muscleblaze whey active 4.4 lb chocolate is an ultimate blend of concentrated and isolates. It comes in chocolate flavour and maintains a positive nitrogen balance to reduce muscle breakdown. Consume 1 scoop (33g) of the product in 180-210 ml of water and take 1-2 shakes daily for great results. It is manufactured using Whey imported from united states of america ensuring international quality protein. 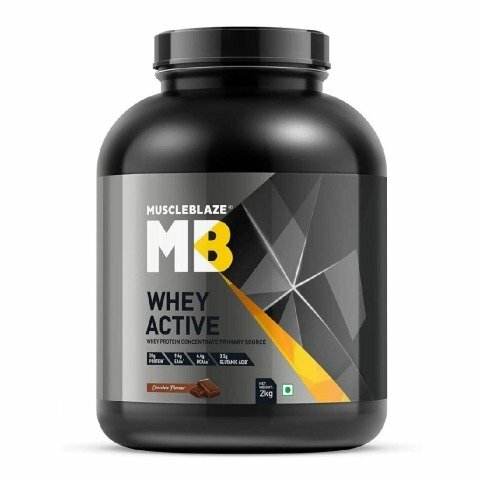 To Recieve updates and possible rewards for MuscleBlaze Whey Active, 4.4 lb Chocolate please sign in. To Recieve updates and possible rewards for Diet Supplement please sign in.